Grammar-school children from the Julia C. Lathrop Homes public housing community now have to walk up to 10 blocks to school because of Chicago Housing Authority relocations, according to a former president of the tenants’ Local Advisory Council. 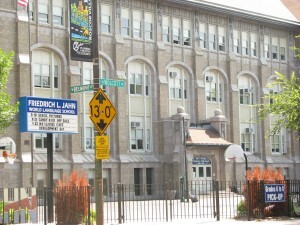 Juanita Stephenson told Residents’ Journal that CHA’s relocations of tenants from the North Side public housing complex, located near the intersections of Damen Avenue, Clybourn Street and Diversey Avenue, made the attendance rate “crash” at the nearby George Schneider Elementary School, formerly at 2957 N. Hoyne Ave., where the majority of Lathrop’s elementary school students attended. 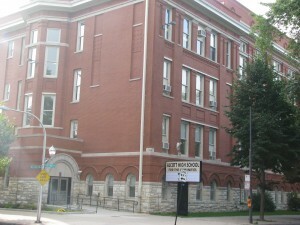 Alcott High School of the Humanities shared space with Schneider when it was first established there in 2009. 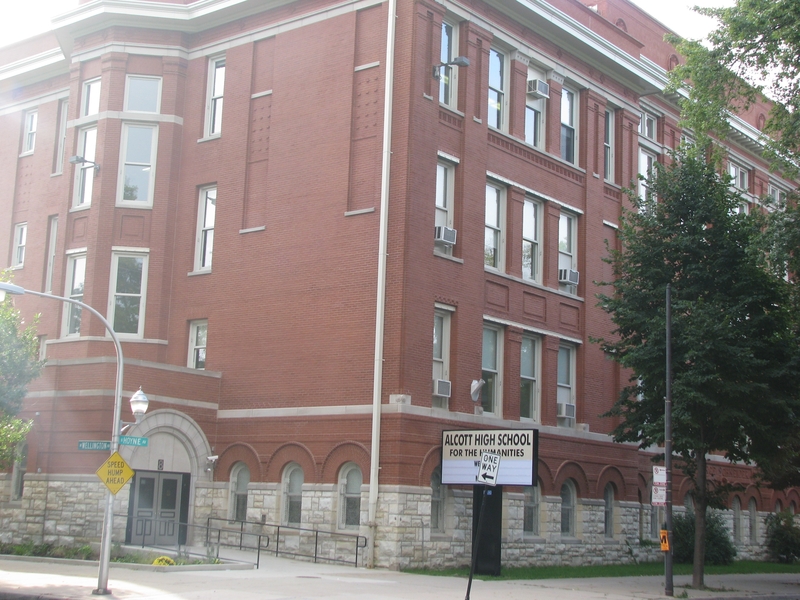 But this past June, the Chicago Public Schools shut down Schneider and left the building for Alcott high-school students to occupy solely, Stephenson said during a Sept. 19 interview. Stephenson said she believes Schneider school closed due to low attendance rate, which she blames on the relocation of tenants out of Lathrop. “When they shut down the development on the north end of Lathrop Homes, which is on Diversey, Clybourn and Leavitt streets, they moved the residents south across Hoyne and Leavitt which is like 2700 all the way back to 2600 north on either Leavitt or Hoyne. Now the children have to go to school past where their school is shut down to Belmont and Wolcott. That’s ten blocks walking,” she said. Stephenson said parents were informed by CPS officials that before the school year started this September 6, their children would be bussed to either Prescott Elementary School, located at 1632 W. Wrightwood St., or Fredrick Jahn Elementary School, 3149 N. Wolcott Ave. But on the first day of school, “no bus showed up,” Stephenson said. 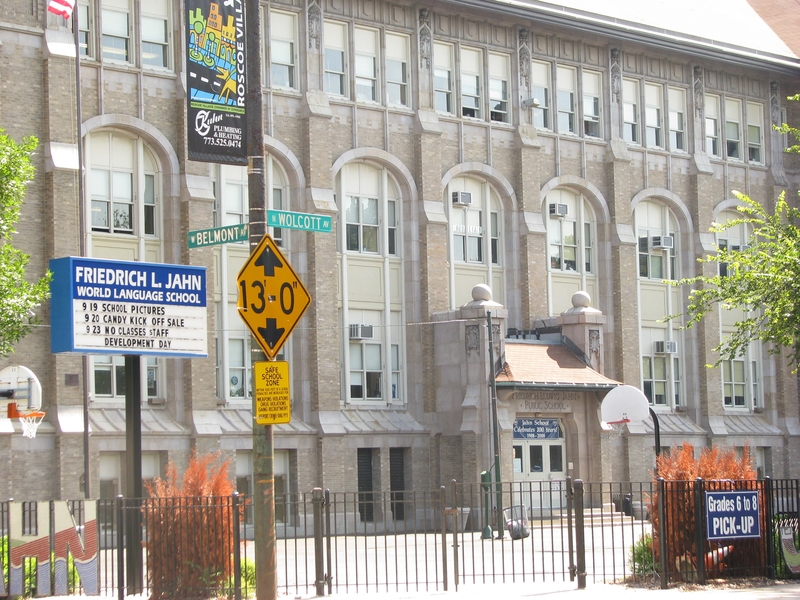 “The poor little children were kicked to the curb.” Both Jahn and Prescott schools are approximately 9 to 10 blocks away from Snyder, their former school. Mary Thomas, a tenant at Lathrop who has two children now walking “about twenty-five minutes” from their home on North Leavitt Avenue to Jahn school, told RJ that she hoped the children would get bussed to the relocation schools soon before the winter months hit. Thomas added that she, other Lathrop tenants and their advocates have talked with CHA officials, a representative at the area alderman’s office, and the pastor of the nearby Church of the Good Shepherd. “They said they’re pushing for a bus this week, but I don’t know how true that is,” Thomas said. That same day, Jadine Chou, vice president of CHA’s Asset Management Department, told RJ the agency was working with Chicago Public Schools officials to rectify the problem. “We met with them yesterday, and are working with them to find a resolution,” she said. This entry was posted	on Wednesday, September 28th, 2011 at 7:02 pm. You can follow any responses to this entry through the RSS 2.0 feed. You can leave a response, or trackback from your own site.